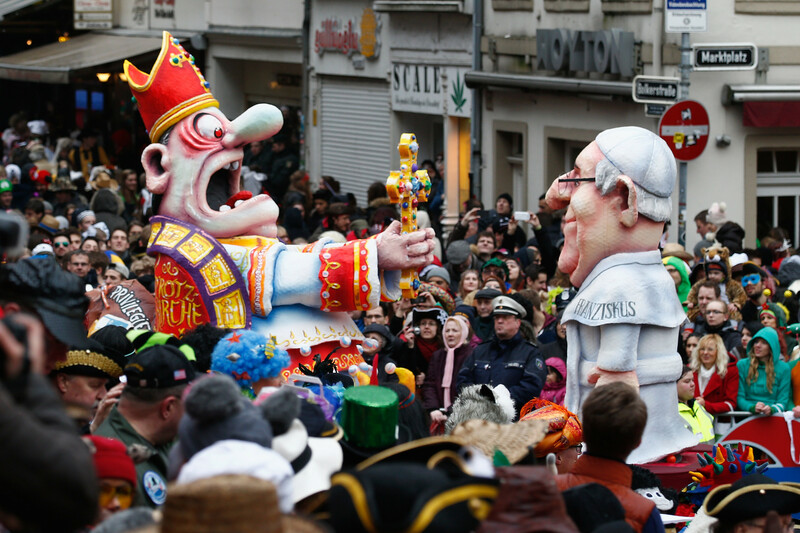 Pope Francis' distaste for priests living a lavish lifestyle was comically captured in a German carnival float depicting the humble Argentinian pontiff facing a caricature of a wealthy clergy member sitting atop a pile of gold. It may represent the so-called "Bishop of Bling" Franz-Peter Tebartz-van Elst, who was removed from his Limburg, Germany diocese after Pope Francis ordered his expulsion. 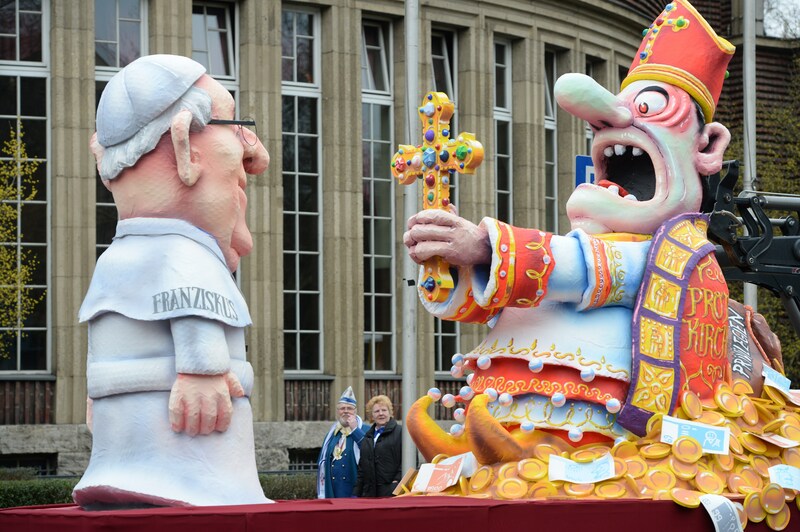 The float depicts Pope Francis and a swank figure of the church staring each other down during the traditional Rose Monday parade on March 3, 2014 in Duesseldorf, western Germany. The traditional procession of Rosenmontag is mainly celebrated by carnival-goers in Germany's Rhine region, reports Getty. The figure in red has "Protz-Kirche" emblazoned on his luxurious garb, which means "Swank-Church."